The Defense Industries Organization (DIO) is now listing its entire product catalog on its English-language website. Since the militaries of so-called “rogue states” have always attracted scrutiny from the general public, the DIO’s openness seems fortuitous. Anyone can now explore their website to learn about what conventional weapons Iran possesses, especially its long-range rockets. To do so, open the “Products” page and download each of the PDF brochures for small arms; small arms ammunition; rockets; artillery; ground vehicles; explosives and chemicals; specialist equipment; and spare parts. It must be understood, however, that the DIO generally caters to the ground forces even if it builds sea-based rockets and guns. Warships and submarines are under the responsibility of a different firm. Although Iran is self-sufficient in its military needs, much of its arsenal dates back to the 1970s and earlier. For example, based on specifications published by the DIO Iran’s T-72S is no different from the original T-72 albeit with a slightly more powerful engine. Newer weapons are rare. Aside from maintaining ageing M60 Patton and Chieftain tanks and F-4 Phantoms (the DIO supplies tires for the latter) with marginal upgrades, the most recent indigenous vehicles are the Raad 1 and Raad 2 self-propelled artillery systems. The 122mm Raad 1 is similar to the Russian 2S1 Gvozdika while the 155mm Raad 2 resembles the US-made M109 Paladin except with a chassis resembling a main battle tank’s. Other innovations include the Boragh APC line and the Rakhash 4×4 armored car. The most fascinating category among the DIO’s products are its rockets, which are available in different calibers, launch vehicles, and ranges–the longest belonging to the two-stage 333mm Fadjr-5 that can reach targets 180km away. There was no listing for anti-tank missiles, although the Ghadir anti-armor rocket is proof that the DIO makes RPG-29 rounds. The DIO’s accessible website, apparently unveiled last year, could be an attempt to reach foreign buyers. 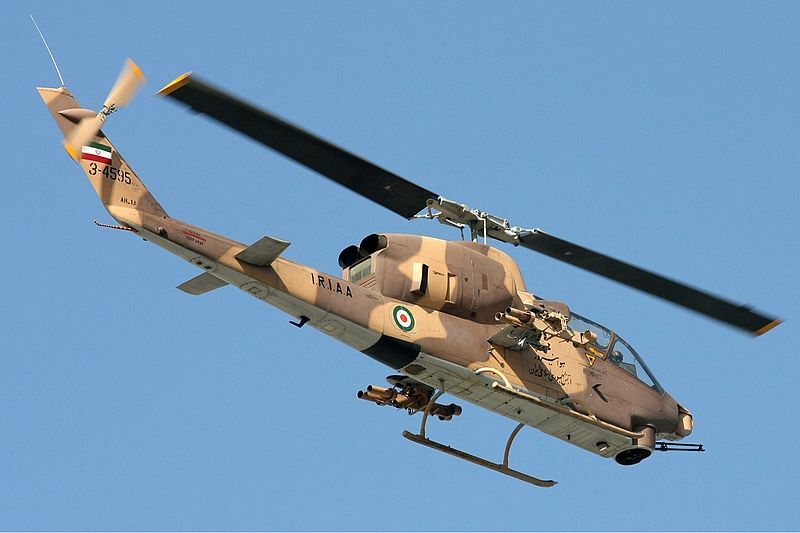 Since the scale of Iran’s arms sales is either unknown or very limited–Hezbollah and Sudan are obvious recipients–its customer list is just as opaque. The DIO is a state-owned industrial conglomerate run by the Ministry of Defense. Its raison d’etre is to equip Iran’s armed forces, consisting of the 545,000-strong regular military and the much smaller Pasdaran or the Islamic Revolutionary Guard Corps (IRGC). As a result, the DIO’s broad range of activities spans different technological fields.